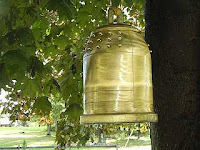 The Summer 2013 issue of the Mindfulness Bell celebrates our love for Mother Earth. 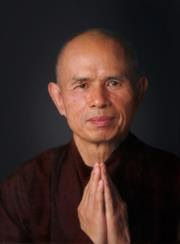 This wonderful collection begins with Thich Nhat Hanh's Dharma talk in two parts, "Take Refuge in Mother Earth" and "A New Teaching on the Twelve Nidanas." Thay gently reminds us: "Allow yourself to relax and release all the tension in your body, and all the worries and the fear in your mind, because these things are preventing you from healing. Let go, release, take full refuge in the Earth and in the sun, and allow yourself to be healed." * The Earth Peace Treaty helps us make specific commitments to care for the Earth. * "Harvest Is the Way" tells about Plum Village's new Happy Farm project and the happiness it cultivates. * "Walking the Green Path" describes Deer Park Monastery's practices to care for Mother Earth. * "Touching the Earth for Ecological Regeneration" offers a practice to experience the non-separateness of ourselves and the Earth. Still Water Sangha has a copy of this inspiring publication. To borrow it, please contact Theodate!